Chairmanship of Chesapeake PETS rotates among the four participating Rotary Districts, for two-year terms . For PETS 2019, the chair position is held by PDG Horace G. McCormack of District 7610. He chaired a successful C-PETS 2018. 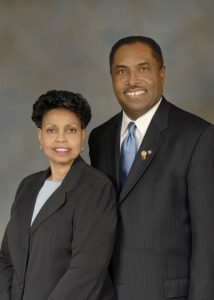 PDG Horace served as Governor of Rotary District 7610 in 2009-2010 and is a member of the Rotary Club of Falls Church, VA. He is Past Chairman of the Zone 33-34 Caribbean Partnership, Inc.
A native of Jamaica, PDG Horace is president and CEO of HGM, as an international consultant, trainer and researcher who has advised public and private sector leaders on quality, transformation and culture change for the 21st Century. He has over 30 years’ experience in management and engineering consulting and training. PDG Horace holds a Bachelor of Science degree in Industrial Engineering and MS in Management from NYU/Polytechnic University, New York. He also is a graduate of the University of Technology and the University of the West Indies with certifications in electrical engineering and management. His doctorate is in Business Administration.He h as served on the boards of the DC Chamber of Commerce and Leadership Greater Washington’s Class of 2006. A member of the Moravian denomination, PDG Horace has served as president of the Church Council for Faith Moravian Church in Washington. He and his wife, Carlota (also a Rotarian and Past President of Rotary Club of Falls Church), have one daughter and reside in Fairfax, VA.